Keep Sevier Beautiful Partners With AEF For River Cleanup! During April and May of 2018, the American Eagle Foundation’s Smoky Mountain Bald Eagle Nest in Sevierville, TN became the focus of environmental issues that impact Bald Eagle nests and other wildlife nationwide. On three separate occasions this spring, in cooperation with the USFWS, interventions were made at this local nest to ensure the safety of three young eaglets due to the ongoing presence of fishing line, hooks, & sinkers in the nest. On April 22, 2018, one of the eaglets was strategically removed from the nest by a professional tree climber after swallowing a hook brought into the nest along with a fish. Fortunately, veterinarians quickly and safely removed the hook, and the eaglet was returned to the nest the following day. On May 9th, hooks, fishing line, and tackle were again observed in the nest. The same local professional tree climber ascended into the nest again, and removed the dangerous material. On May 21st, fishing hooks, lines, and tackle were once again brought into the nest. 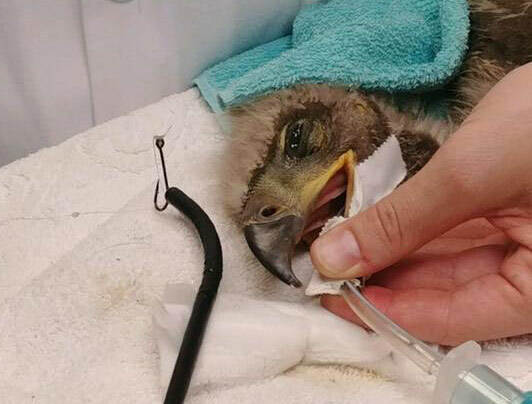 For the health and safety of the eaglets, a decision was made by the USFWS & American Eagle Foundation (AEF) to remove all three eaglets from the nest and place them in the AEF’s hacking tower located on Douglas Lake. The eaglets will be released into the wild at around 13 weeks of age. 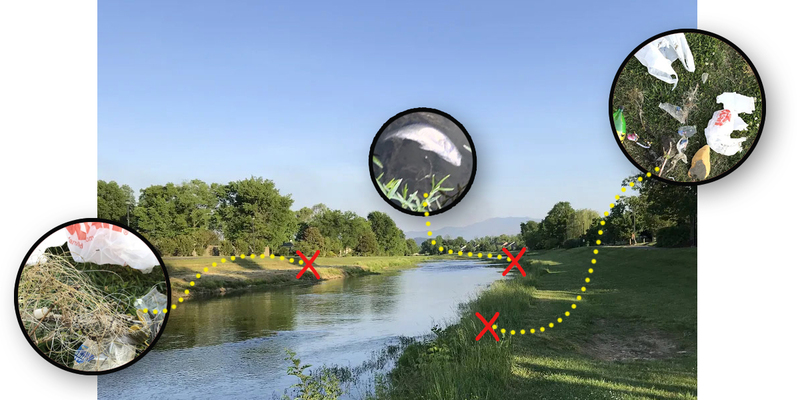 Keep Sevier Beautiful (KSB) and the American Eagle Foundation are determined to clean up not just the waterways of Sevierville, TN, but also the surrounding ecosystem to help ensure the health and longevity of the animals that depend on this area as their source for food. “Keep Sevier Beautiful is proud to be partnering with the American Eagle Foundation in an effort to assist with this cleanup. This particular area has become a danger to our wildlife. Our goal is, once the cleanup is complete, to educate the community on the impact it is having on our wildlife so that we can make sure this remains a safe environment,” said Lisa Bryant, Executive Director with Keep Sevier Beautiful. Our goal is to restore the Little Pigeon River to a pristine condition so that it is safe for all the wildlife who depend on it for food. Fishing lines and litter kill an array of wildlife, including eagles. Fishing with equipment that contains lead has become an even larger issue. According to the American Bird Conservancy, an estimated 10-20 million birds and other animals die each year from lead poisoning in the United States. This occurs when animals scavenge on carcasses shot and contaminated with lead bullet fragments and pick up and eat spent lead-shot pellets or lost fishing weights, mistaking them for food or grit. Some animals perish from lead poisoning while others are affected for years from its debilitating effects. Eagles are apex predators- anything that enters into or affects the ecosystem/food chain will affect eagles and other animals. PROJECT DETAILS – GET INVOLVED! MORE INFORMATION AND TO SIGN UP: Register below to sign up and help make the Little Pigeon River safe for wildlife! You may also contact Kay Shanda, Program Coordinator, at kshanda@keepsevierbeautiful.org. 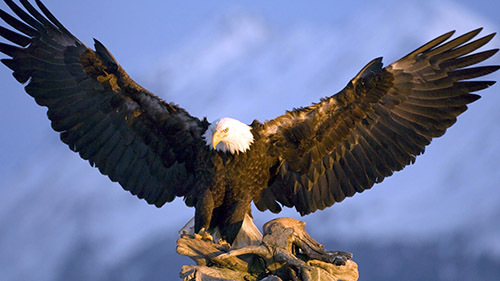 The American Eagle Foundation is a not-for-profit 501(c)(3) organization whose mission is to care for, restore and protect the USA’ s living symbol of freedom, the Bald Eagle, and other birds of prey through the four pillars of Education, Repopulation, Conservation, & Rehabilitation. It is headquartered in the foothills of the Great Smoky Mountains at Dollywood theme park in Pigeon Forge, TN. Learn more at www.eagles.org. Keep Sevier Beautiful is a multi-award winning non-profit that brings people together to protect the beauty of Sevier County in turn stimulating economic growth, building vibrant communities and protecting the gateway to the Smoky Mountains. It is our goal to enhance and protect the beauty of Sevier County and improve the quality of life of our residents through community-based projects. Learn more at www.keepsevierbeautiful.org.